Celebrate 25 years of togetherness with this perfect Silver Wedding cake. Only the finest cheeses have been used to make this cake perfect! With 4 layers of delicious cheeses to dig in to there is something for everyone. 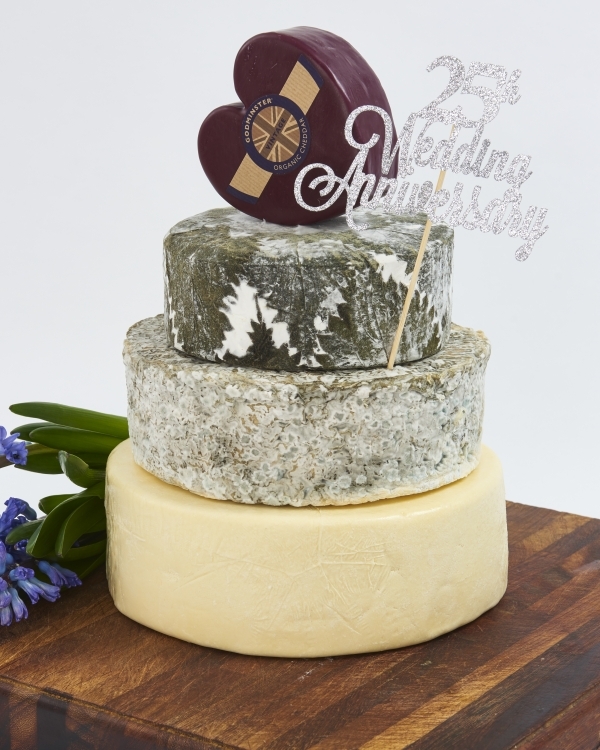 If you would prefer to taste before you buy you can purchase a sample box of all the cheeses that go to make up The Silver Wedding Celebration Cheese Cake.